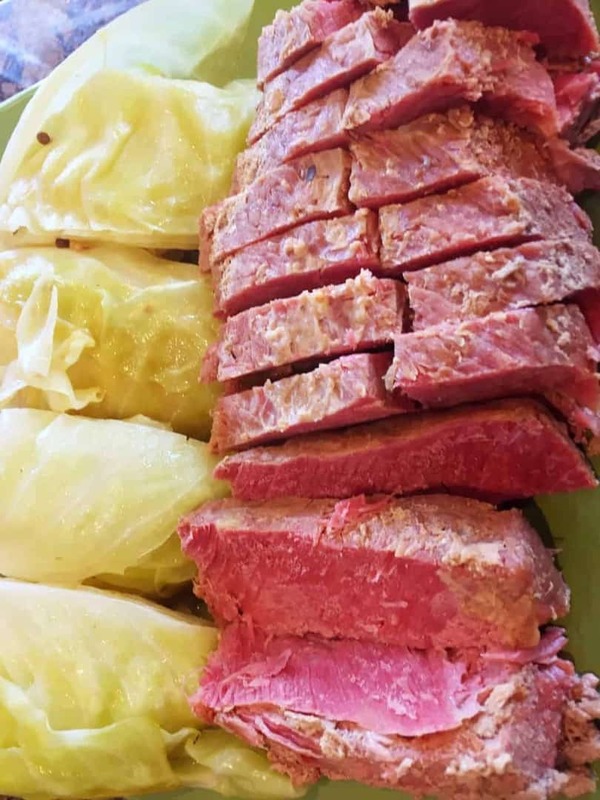 Corned beef is so easy to make in a pressure cooker, and it cooks up so tender, that once you try this Pressure Cooker Corned Beef and Cabbage, you’ll never make it any other way. You will have to make this in two steps–trust me, do not try to cook the cabbage and the corned beef all at once. Just follow the very simple steps here, and make a delicious corned beef and cabbage dinner in less than half the time. With St Patrick’s Day around the corner, the grocery store had a good deal on corned beef so I thought I’d give it a shot. HOW TO MAKE PRESSURE COOKER CORNED BEEF AND CABBAGE? There are at least two huge advantages to making pressure cooker corned beef rather than doing it on the stovetop. First of course is the time. 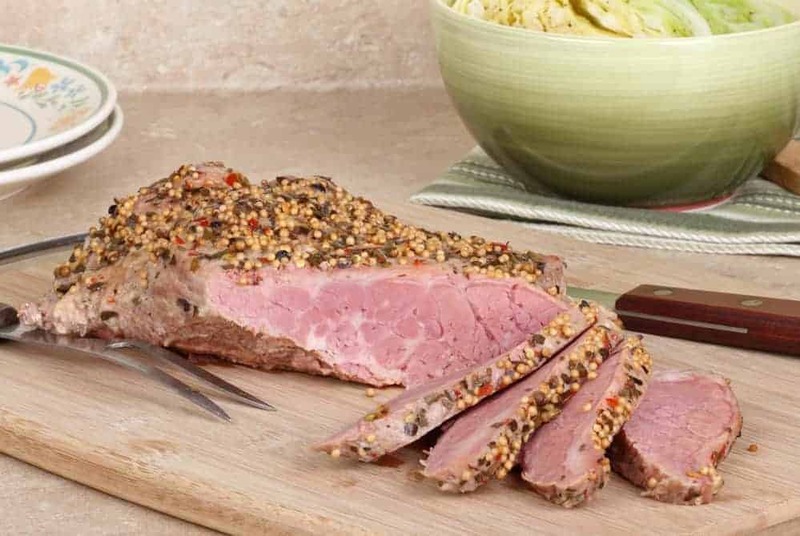 It takes about 90 minutes for your Pressure Cooker Corned beef to cook up tender, and delicious. You don’t have to babysit it. I don’t know about you, but I can find a LOT of great ways to spend 90 minutes–almost NONE of which involve watching over corned beef! Now the one thing to note is that you must do this recipe in two steps. Pressure cooker corned beef takes 90 minutes. Pressure cooker cabbage takes less than 5 minutes. Do not try to do it all in one go! Don’t trust any recipe that tells you that you can make pressure cooker corned beef and cabbage in one step. Corned beef is so easy to make in a pressure cooker, and it cooks up so tender, that once you try this, you'll never make it any other way. Add corned beef to Instant Pot with 1 cup of water. Cook on high pressure for 80-90 minutes and release pressure naturally for 10 minutes, and then release remaining pressure. Add cabbage and shut the lid. Allow the cabbage to cook in the residual heat. If you like your cabbage soft, cook for 2 minutes with a quick release. Came out a little dry. Next time I’ll adjust the time back by 10 minutes to check it. Saw where you had this listed under American cuisine, in which it isn’t. It’s an Irish cuisine, by far. Im cooking potatoes, celery and carrots first befor putting whole mushrms amd cabbage in. Potatoes and carrots for the family. This sounds so good! 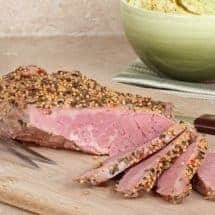 I have an Instant Pot and my husband loves corned beef! WIN WIN! It was pretty amazing. I love my InstantPot too!